Publication: Linnaea. 3: 32. 1828. Notes: Taxonomy follows FNA. To the south of us a variable species, 2n = 44,66,88, with different ploidy levels possible within a single population, and further complicated by crossing with Spiranthes porrifolia (Sheviak & Brown 2002). FNA26:"Plants of Spiranthes romanzoffiana vary considerably in habit but are usually quite consistent in floral morphology. The strongly hooded, ascending flowers with abruptly reflexed lips provide a distinctive geometric precision. The pandurate lip with typically three veins, the lateral with abruptly wide-spreading branches, is a key feature. In some areas, however, especially at the edges of the range of the species, some variation is apparent and is sometimes coincident with variability in ploidy level. In particular, in California and adjacent southwestern Oregon variability reaches its peak, with plants variously exhibiting yellowish flowers, loosely spiraled inflorescences, and spreading lateral sepals. Some of this variation may result from gene flow from S. porrifolia, but with various ploidy levels common in this area, even within populations, the situation is apparently more complex than simple hybridization." » Catling, P. M. 1982. 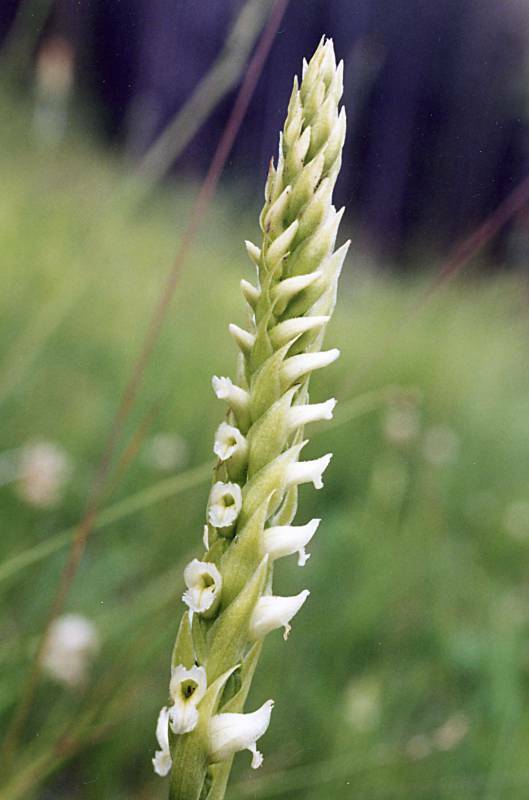 Breeding systems of northeastern North American Spiranthes (Orchidaceae). Canadian journal of Botany 60: 3017-3039. » Catling, P. M. and J. R. Brown. 1983. Morphometrics and ecological isolation in sympatric Spiranthes (Orchidaceae) in southwestern Ontario. Canadian journal of Botany 61: 2747-2759. » Sheviak, C. J. and P. M. Brown. 2002. Spiranthes, pp.530-545, In: Flora of North America Editorial Comittee, eds. 2002. Flora of North America North of Mexico, Volume 26, Magnoliophyta: Liliidae: Liliales and Orchidales. New York and Oxford.